The south west corner of Dartmoor has many associations with Sir Francis Drake, and this has led to the promotion of this area, its history, facilities and walks, as Drake’s Dartmoor. This walk starts and finishes in Yelverton, one of the main centres of Drake’s Dartmoor, taking in historic leats and an old tramway. There is a shorter version of the walk available. Yelverton is roughly mid-way between Plymouth and Tavistock and is well-served by buses between the two. It also has links to and from local villages and there is a direct bus to and from Exeter during the summer and on weekends throughout the year. Yelverton : shops & pub; there is also a car park and public toilets adjacent to the start and finish point; pub at Clearbrook. There are three stiles and one long, steady but never especially steep climb of 280 feet/85m. Landranger (1:50,000 scale) no. 201 Plymouth and Launceston. Explorer (1:25,000 scale no) OL28 Dartmoor. As Devon towns go, Yelverton is not very old. Even the church is relatively new, dating from only 1912. The town is essentially a product of the coming of the railway in the mid-1800s when a station was built near the old Elford Town Farm. The Devon dialectal pronunciation of Elford Town was used as the station name, hence Yelverton. The ditch is the Plymouth or Drake’s Leat. 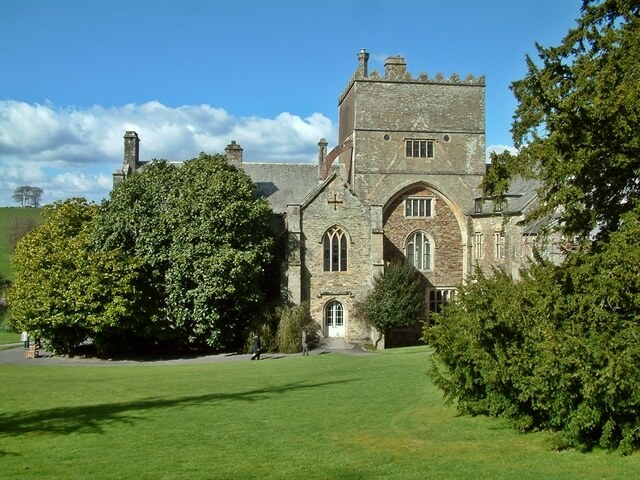 It was built by Sir Francis Drake between 1589 and 1591 to take water from Dartmoor to Plymouth and thus ensure the city had a reliable water supply. A superb engineering achievement, it was extremely successful, continuing its job until Burrator reservoir was built in 1893. Devonport Leat was built between 1793 and 1801, when the dockyard at Plymouth was growing enormously. At that time Devonport was not part of the city, and Plymouth was not happy to allow Devonport to use its water. Consequently a new leat was constructed by the Plymouth Dock Water Company, 28 miles long. Like Drake’s Leat, this also lasted until the building of Burrator Reservoir. Plymouth and Dartmoor Tramway was built between 1823 and 1827 as a horse-drawn route over the 24 miles between Princetown and Plymouth to carry farm produce, peat and granite, although only the granite trade was ever profitable for the tramway. Notice the bridge continuing, the granite setts on the tramway floor. These were the equivalent of railway sleepers, the rails being bolted to these setts. Views open up over the valley of the River Meavy to Dartmoor on the horizon, marked by a series of rugged tors. This is still the line of the tramway, rejoined after leaving it for a short length. Soon, setts reappear, confirming we are following the tramway. This length offers extensive views over Roborough Down, the western edge of Dartmoor. This was an area of Iron Age occupation and, indeed, seems to have been farmed until medieval times. The barn just passed is actually a warehouse associated with the tramway. Such warehouses along the tramway were known as wharfs, indicating the influence of the canals on these early tramways. Where the tramway track reaches the road the Plymouth Leat is crossed. The leat here is in exceptionally good condition, lined with granite slabs. There is a shorter version of the walk which can be taken from here. This will also avoid another length of the full route which can be muddy after wet weather. For this option, continue down the road to the village visible ahead. This is Clearbrook, and for those in need of refreshment there is a pub here. The tramway and leats are now left behind as the route descends, gently at first and then more steeply, into the beautiful valley of the River Meavy. 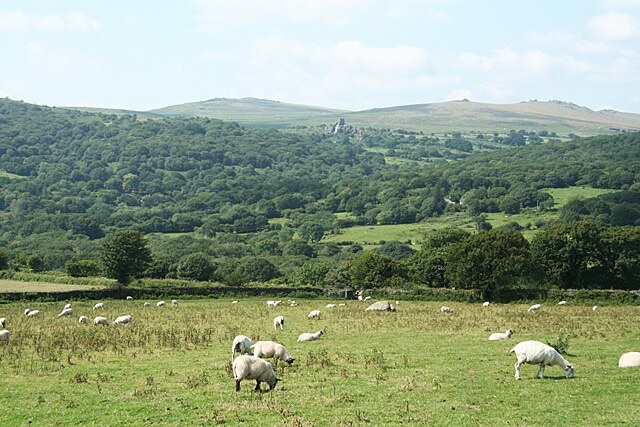 There are splendid views over Dartmoor, including the village of Shaugh Prior on its hillside above the valley woodlands. The walk has now rejoined the West Devon Way for the return leg to Yelverton. Look out for the waymarks. The railway was the line between Plymouth and Yelverton, from where the main route went on to Tavistock with a branch going to Princetown, following the upper part of the line of the tramway for most of the way. The Tavistock railway opened in 1858 and was closed in 1962. Hoo Meavy Bridge, dates back to the 1700s. 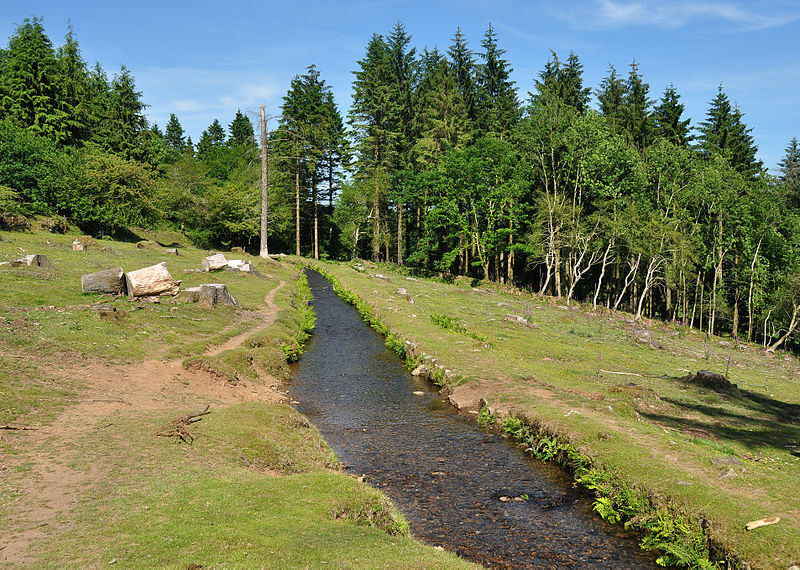 The Meavy is a beautiful river which rises high on Dartmoor near Princetown and flows through Burrator Reservoir and then south to join the River Plym at Shaugh Bridge. The West Devon Way walking route links Plymouth and Okehampton, much of the route following the western edge of Dartmoor….